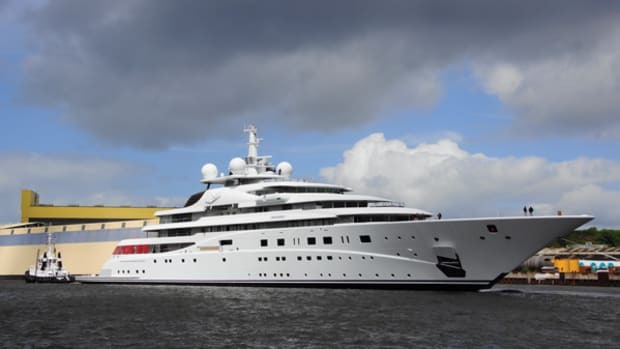 Part of a multi-yacht contract signed by the former HDW shipyard in Germany, the public saw Odessa II on sea trials in April of this year. 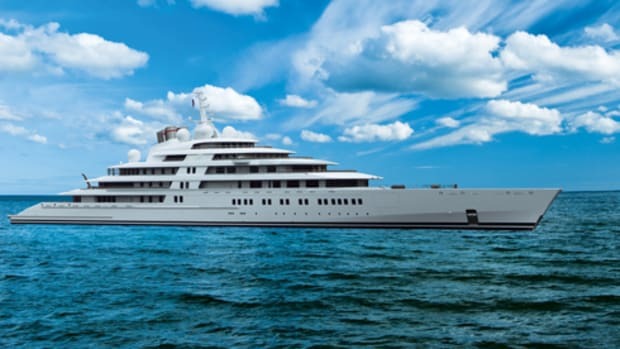 Some reports suggest the deal stipulated that the yard build upward of six yachts under that contract. 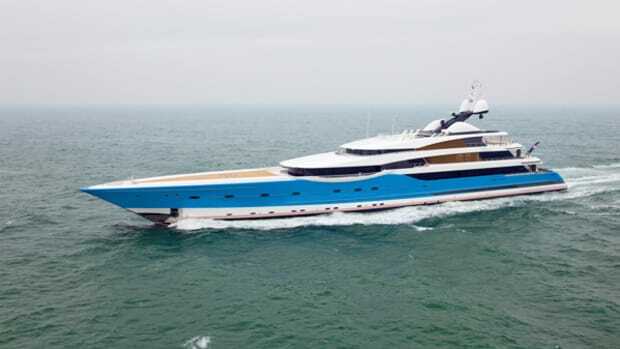 Part of a multi-yacht contract signed by the former HDW shipyard in Germany, the public saw Odessa II on sea trials in April of this year. 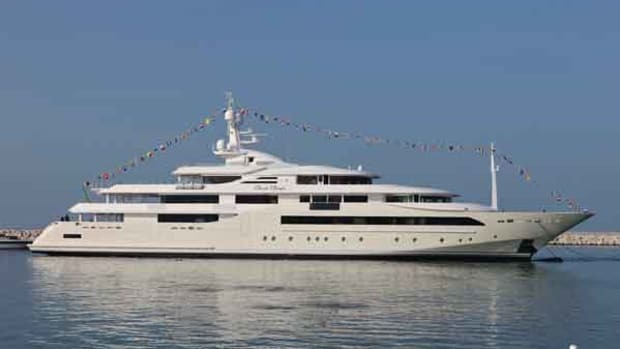 Some reports suggest the deal stipulated that the yard build upward of six yachts under that contract. 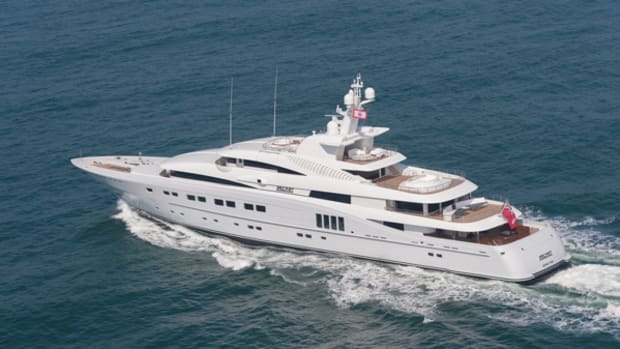 In any case, Odessa II is one of two that the yard completed, the other being Plan B. Abu Dhabi Mar Kiel, what HDW became when the Abu Dhabi Mar group acquired it, finished Odessa II’s hull. 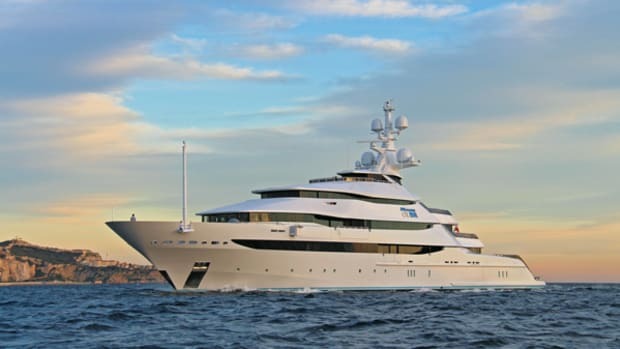 Completion and final outfitting, however, took place at Nobiskrug, and Nobiskrug’s in-house team handled naval architecture. 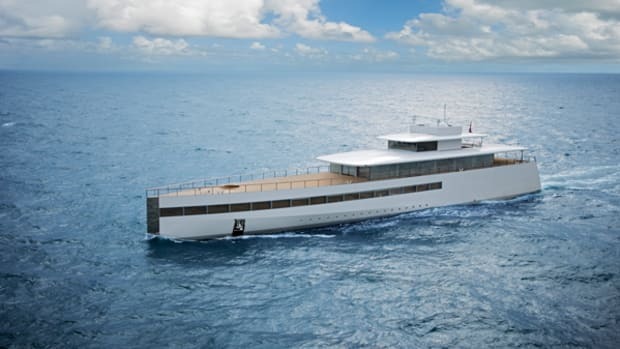 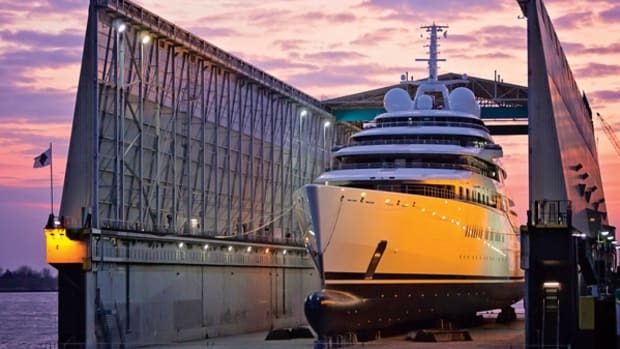 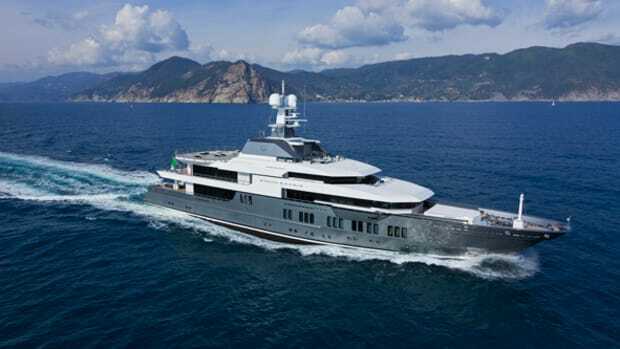 Project manager Dirk Hemsen from Nobiskrug says that the yacht offers enormous deck space and a contemporary and clean interior design, which is from H2 Yacht Design and Haynes-Roberts. 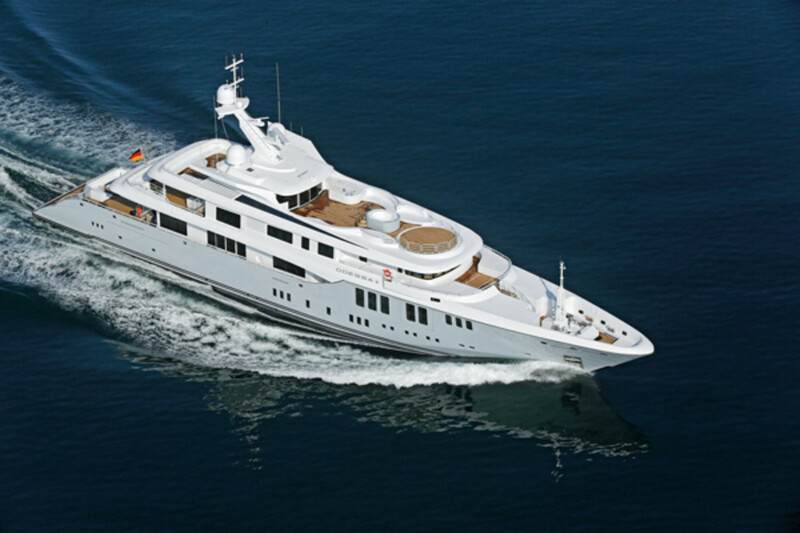 Exterior styling is by Focus Yacht Design, in conjunction with Nobiskrug.